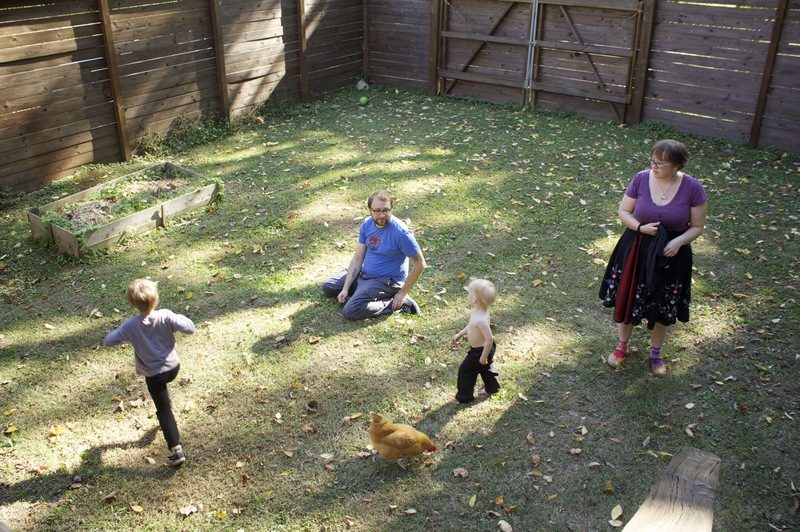 For most of our time in Chattanooga, TN, we raised four chickens in our backyard. Blaster, Leia, Skittles, and Clara were the tenants of a pretty wonderful little chicken run in. Their rent? They gave us 3-4 eggs per day. They also gave us a lot of love. On the weekends we’d scramble most of the eggs and eat them as a family for breakfast. Sometimes Finn would join in with the cooking. It was absolutely amazing to watch a 6 year old cook. I myself never really learned how to cook until I was in my twenties. It was a joy to see my son learning skills that had taken me so long to learn. Other times Haley would make what we call “Toad in a Hole”, a nice egg dish that involved toast and egg-y goodness. The lovely ladies were lovely indeed. 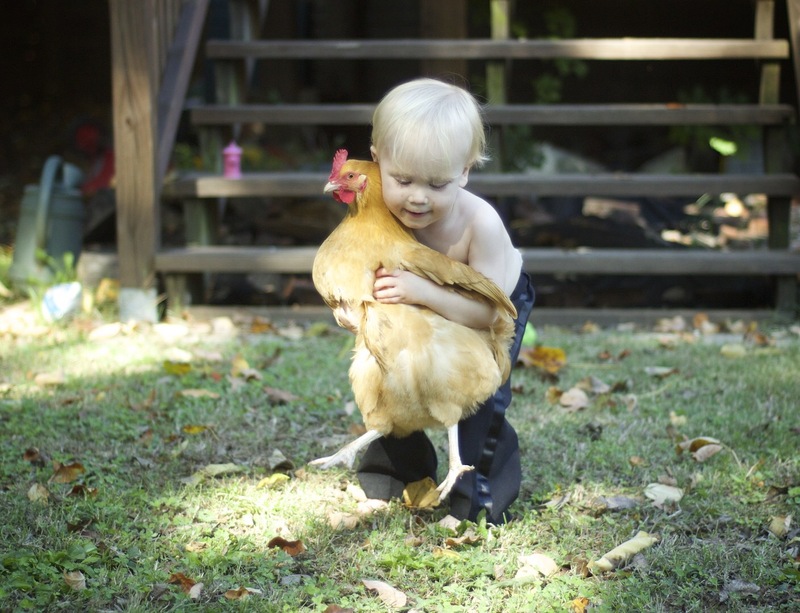 Chickens may not be the smartest animals out there, but when you bring them into your family and show them love and attention they quickly become your friends. The girls would often times be out in the backyard with my sons Finn and Aero. They’d chase each other around. When my wife Haley and I called for the chickens or whistled at them, they’d follow us around. They knew what to expect from us. We feed you and you feed us. We love you and you love us. Just two miles away from our home was a chicken processing plant. I don’t know what they made there, but they had hundreds of chickens going into the plant daily. It had a smell of chickens and industrial meat processing hanging over it. Our backyard? It smelled like grass and happy, well kept chickens. But for some reason, our chickens were illegal. I understand what’s most likely happening here. The chicken processing plant brings in money and jobs to the community. I am all for that. If our city didn’t have it, somewhere else would. I’m glad we were able to give people jobs. I wish it could be different for Chattanooga residents and other cities that don’t allow residents to keep chickens (or goats!) on their property. Our lovely ladies were amazing for our family. They brought us not only eggs but a whole lot of love. They taught our sons how to take care of animals and how food comes from things all around us. Personally, it taught me to slow down and enjoy the little things in life that we don’t always talk about. Birds are always flying around us, chirping away. The grass, the plants, and the trees are always growing. Your family and friends are growing up and getting older. These are the things that matter. Clara, Blaster, Leia, and Skittles helped me realize that. 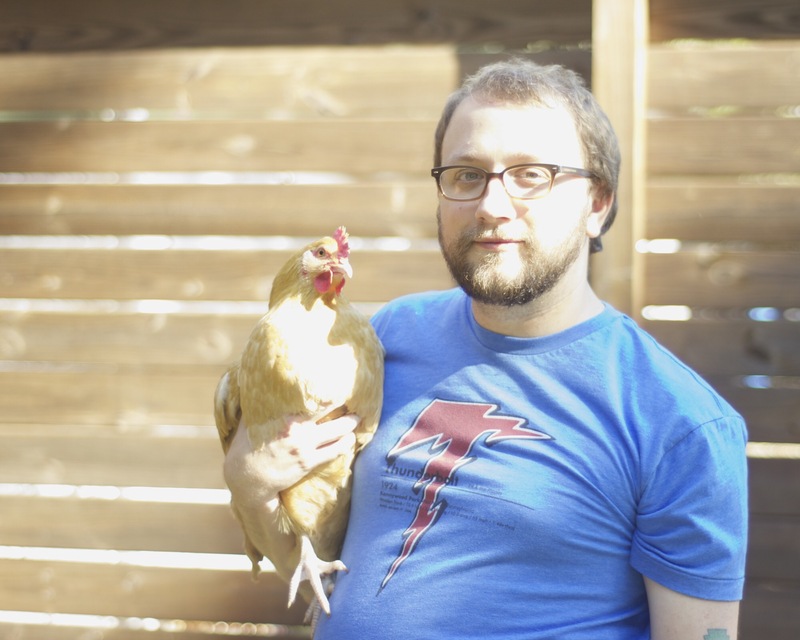 Before chickens, there was a big part of me that was determined to be the best goddamn human being and librarian ever. I wanted to show the world that I could do it! I wanted to travel the world, push boundaries, and blow people’s minds! 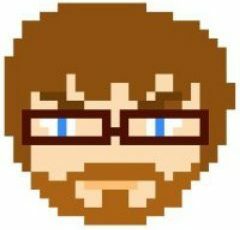 I wanted to be the best. After chickens, I want to go home, cut the grass, hang out with my family, and take care of our home. I still want to be an amazing librarian but you know what? That’s way down there on the list. It is amazing when you finally see what matters in real life. A couple of egg laying beasts taught me. Life is bizarre. Life is awesome. 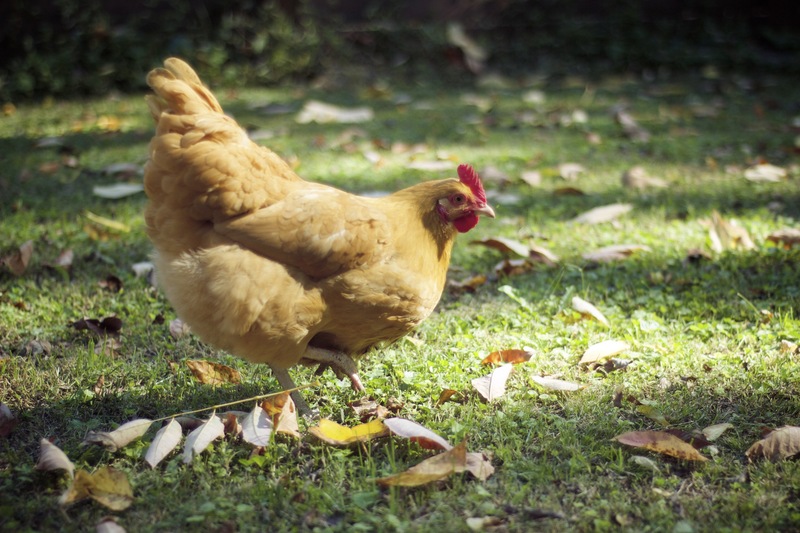 Chattanooga and other cities….make those backyard chickens legal!